In the Quartier Latin, you can find a number of small old-style hotels. 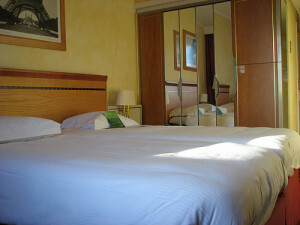 Larger chain hotels can be found in the nearby Palais Royal, Châtelet and Montparnasse areas. Prices range from low-budget (eg. Ibis) to medium and medium-high (eg. Novotel, Mercure, Best Western, Pullman, Sofitel hotels) to luxury (eg. Hôtel du Louvre). You can also get bargain rates at Accor Hotels. The Paris Info website has lots of useful links. RER: Luxembourg (line B) or Saint-Michel (lines B and C). Please note that you need not search for a hotel too close to the conference venue, as any hotel located within Paris will be no more than 15-30 mn from the venue by public transport. We recommend that you book early to secure an affordable room. Paris welcomes millions of tourists every year and the conference will take place during the French Easter holidays.